Bushstock has unveiled its full line-up for 2014. Peggy Sue, The Mispers, Luke Sital-Singh, Amber Run are among the new additions. The one day festival takes place in London's Shepherd's Bush and is now in its fourth year. This year it is expanding to include a fourth venue, the newly opened The Sindercombe Social located on the corner of Goldhawk Road. Venue line-ups and timings will be announced closer to the date of the festival. 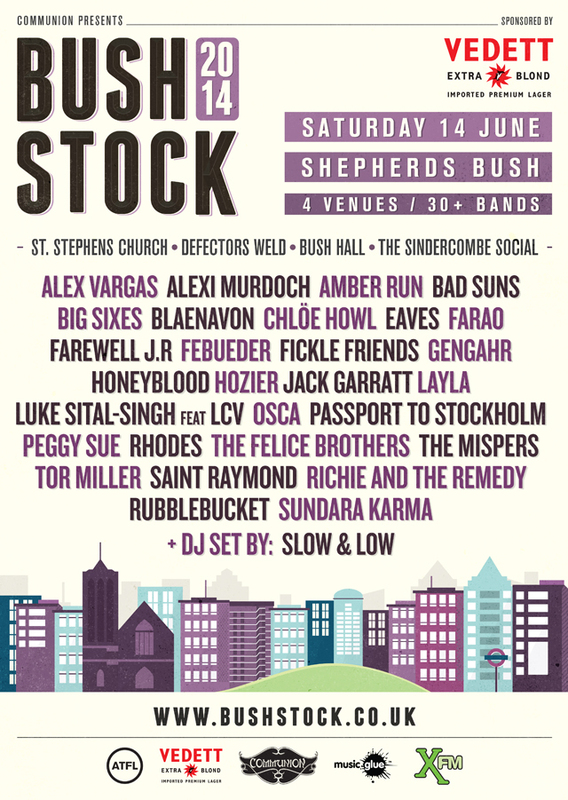 Bushstock takes place Saturday 14 June 2014 in venues around Shepherd's Bush.